Are you seeking an oasis for your koi? Or, thinking of renovating your koi pond to accomodate their size? We are your local Koi Pond experts in Northern Michigan. Creating ecosystem ponds to keep your koi safe, happy and playful. 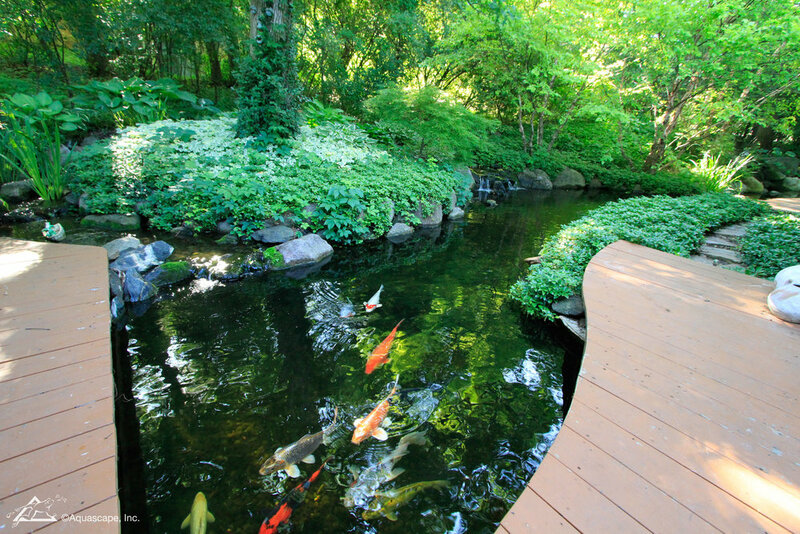 Our Koi Ponds are designed to keep both you and your fish healthy. Using Intake Bays we can create a pond that is safer, cleaner and healthier for your Koi. Intake Bays allow you to have a natural ecosystem for your fish with lower maintenance for you! When you are ready to create a full ecosystem for your pond fish and Koi reach out to Waterpaw and let's talk! 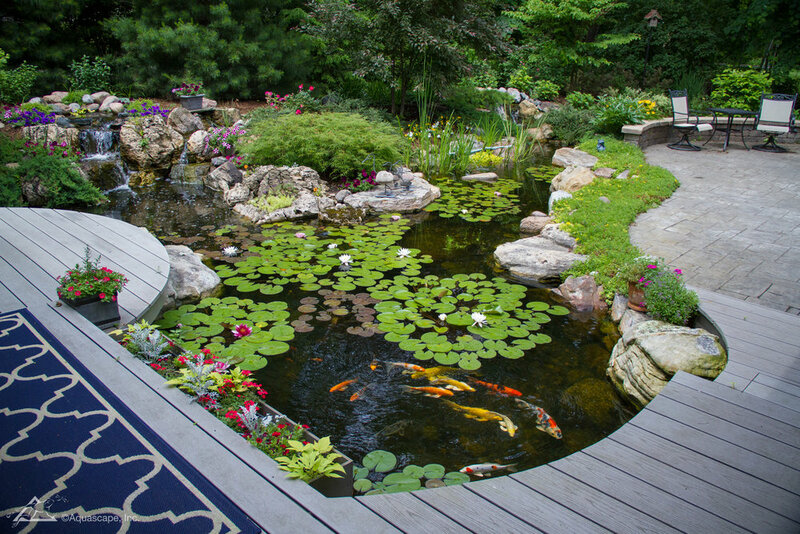 Is your Koi Pond in your Northern Michigan yard in need of repair? We are adept at Koi Pond repair and maintenance. When you are seeking a knowledgeable professional in Northern Michigan to care for your Koi Pond needs give Waterpaw a call or email. Our staff is ready to help you.